As the lead pastor of one of the largest churches in The United Methodist Church, I am indebted to a woman who I never met: Elizabeth Snyder Glide. Lizzie, as she was known throughout her life, was born in Louisiana in 1852. During a family bible study, Lizzie had her own Aldersgate experience. Her father read Matthew 25:31-46 about the coming judgment and separation of sheep and goats, representing those who showed compassion to others and those who failed to do so. Lizzie, even though a child, was deeply moved by this passage and discussed it more deeply with her father. Her father told her that as long as she was a good girl and loved Christ, she would be assured a place in heaven. This was a defining moment upon which would direct her future path and actions. The family moved to Sacramento, California in 1867 and joined the local Methodist Episcopal Church, South. Lizzie was an active member and Sunday School teacher. It was at this church that she met her future husband, Joseph Glide, who was a cattle baron. In 1889 evangelist Sam P. Jones came to Sacramento. It was at a revival that Lizzie came forward to consecrate her life to Christian service. 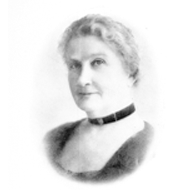 Even though she had come to live a life of ease in the Glide mansion, she soon established a mission for the most destitute in Sacramento, working there herself and often giving her own testimony of sanctification. She became well-known and well-loved among the poor, and a highly sought after speaker. Lizzie’s mission work extended far beyond Sacramento. She began to live more simply so she would have more wealth to give away for mission work in other countries. She even asked her husband to stop buying expensive gifts on her birthday and other special occasions and give her money instead, so she could give more away. When her husband died in 1909, Lizzie took over his business, quickly acquiring a business sense. She became a very respected business person in California. In the running of the family business, she continued to channel monies to the betterment of others through the work of the Church. In the early part of the 20th century, San Francisco was a rough and dangerous place for women. One day, Lizzie stopped a woman on the street and asked her what she would do if she had a large sum of money to use to better others. The woman replied that she would build a safe home for working women. In 1914, Lizzie gave her first gift to San Francisco: The Mary Elizabeth Inn. For one hundred years, this United Methodist ministry continues to offer women a safe, affordable place to live in the City. When I was a candidate for campus minister at San Francisco State University, I stayed at Mary Elizabeth Inn for the duration of my interviews (Lizzie continued her commitment to women by building dormitories for women at UC Berkeley and Asbury College). 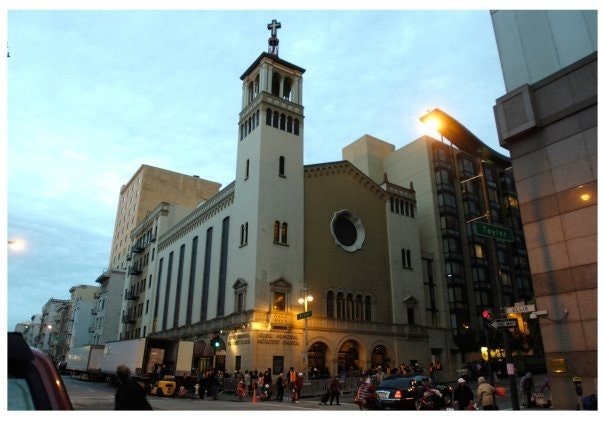 Glide Memorial Methodist Episcopal Church, South opened its door in 1931. Rev. Karen Oliveto, Pastor | Originally from Long Island, NY, Karen Oliveto has been a campus and parish minister in rural and urban settings in New York and California. She arrived in San Francisco in 1989, first as campus minister at San Francisco State University, and then, in 1992, as the pastor and leader of Bethany United Methodist Church in Noe Valley. While there, she expanded the congregation, and was instrumental in the effort to open the doors of the United Methodist Church to all persons, including gays and lesbians and their families. Oliveto holds a Ph.D. in Religion and Society from Drew University, and recently served as the Associate Dean for Academic Affairs at Pacific School of Religion where she continues as adjunct professor of United Methodist Studies. She is a member of the National Board of Directors for the Reconciling Ministries Network, a grassroots organization of congregations and communities committed to the full inclusion of GLBT persons in the life and ministries of The United Methodist Church and has served as chair of the board. Karen is the co-author of Talking about Homosexuality: A Congregational Resource (Pilgrim Press: 2005) and has written numerous articles, hymns and liturgies. She is an avid hiker and traveler, plays guitar and drums, and enjoys cooking for friends. Check out Karen’s blog.